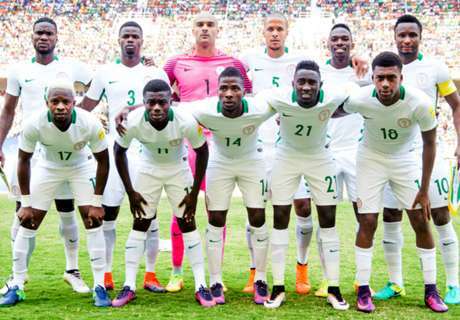 The Super Eagles will converge in the Province of Alpes Cotze Azur in France at the end of the season for another training camp ahead of their 2019 Africa Cup of Nations qualifier against South Africa. The Nigerian senior national team had a fruitful camping in London playing the Teranga Lions in an international friendly at Barnet's Hive Stadium last Thursday and also had seven new players joining and training with the squad for the first time. The players included Chelsea's Ola Aina, Arsenal's loanee Chuba Akpom, Manchester City's Nathaniel Oseni, Noah Bazee, Tyronne Ebuehi and Eberechi Eze. According to the media officer of the team, Toyin Ibitoye, the camp will put the team in good shape ahead of the important African Nations Cup preliminary qualifier against South Africa in June. "We will have another camp like this at the end of the season where all these players will meet again before the game against South Africa," Ibitoye revealed told newsmen.